Azreen Chan is not a new name when you think of doodling. Her artwork is so unique and really stands out. Learn how you can turn bits and pieces of your every day life into cute lighthearted doodles. 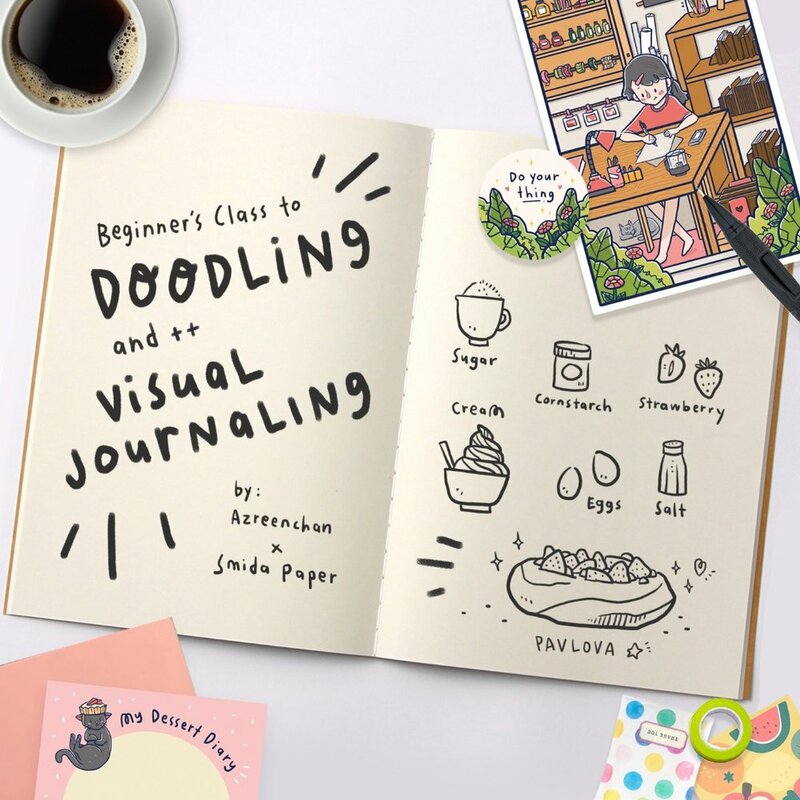 Come along to this fun and unique class where she will teach you the basics and introduce you to the world of doodling which you can then use in your every day journals, diaries, notebooks and so much more. Please take note that you will need to bring your own journal and pencil case for this class! Smidapaper will provide one notebook for your use as well. Please email us at admin@smidapapercompany.com if you would like to sign up or if you have any questions.